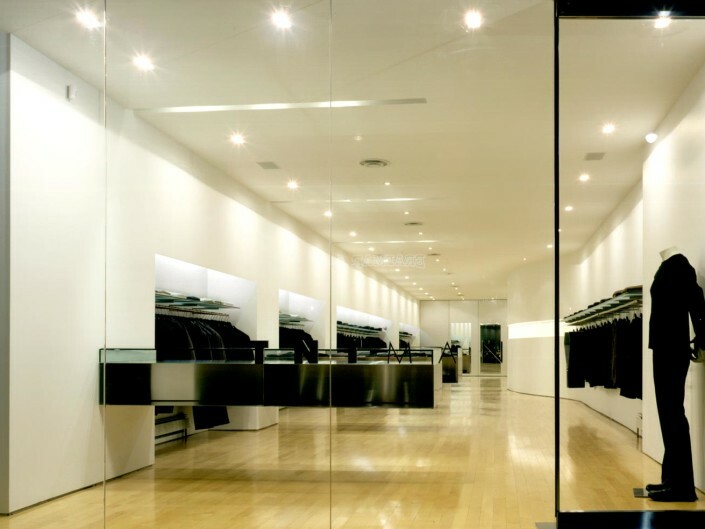 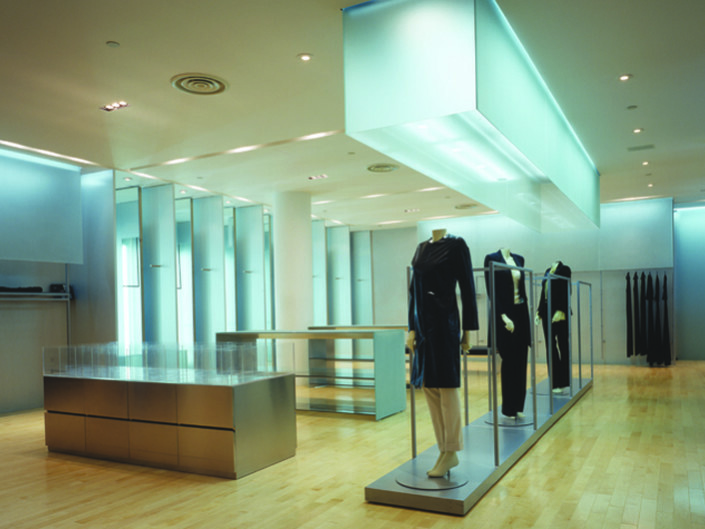 The design concept is based on two principles each realized separately on Showroom Floors 2 and 3: to INSPIRE the client or stimulate possibilities through a carefully composed and edited merchandising or display system that shows the products in their best light (Floor 2); and to help one ENVISION it in a parallel office/workspace recreation (Floor 3) – a context that may reflect their own needs. 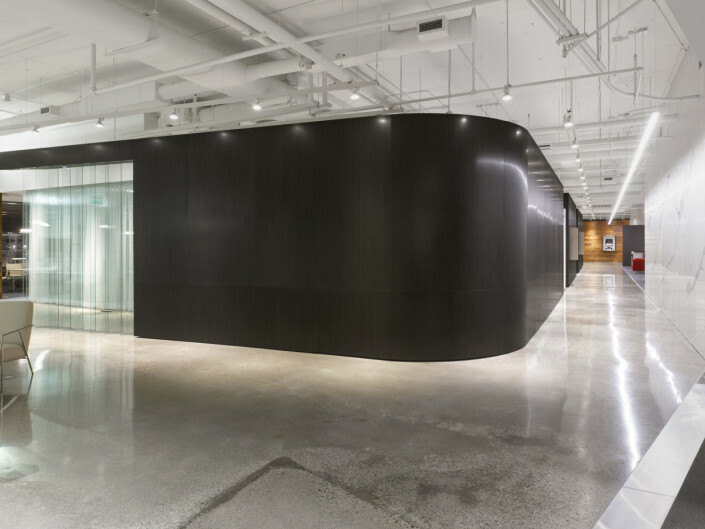 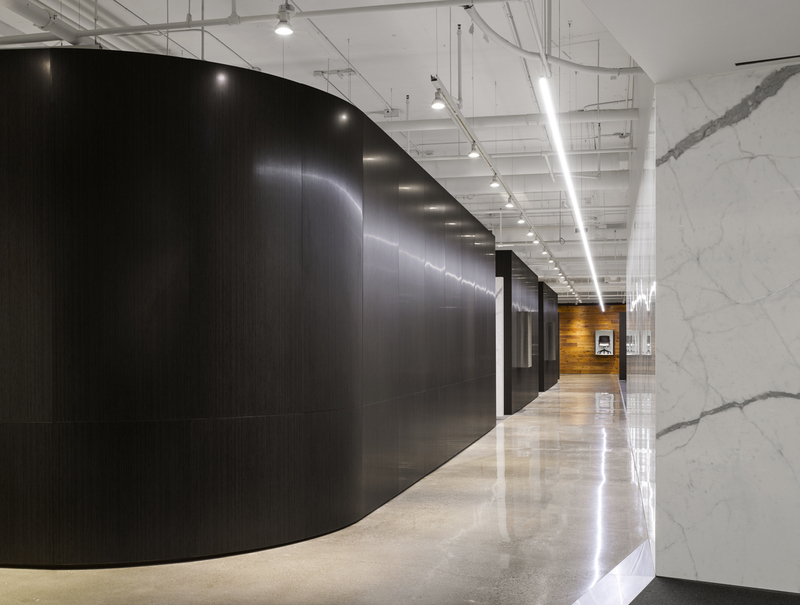 The forms of the architectural elements and movement through the showrooms are inspired by the angled and curved forms of the original building designed by Moriyama & Teshima Architects. 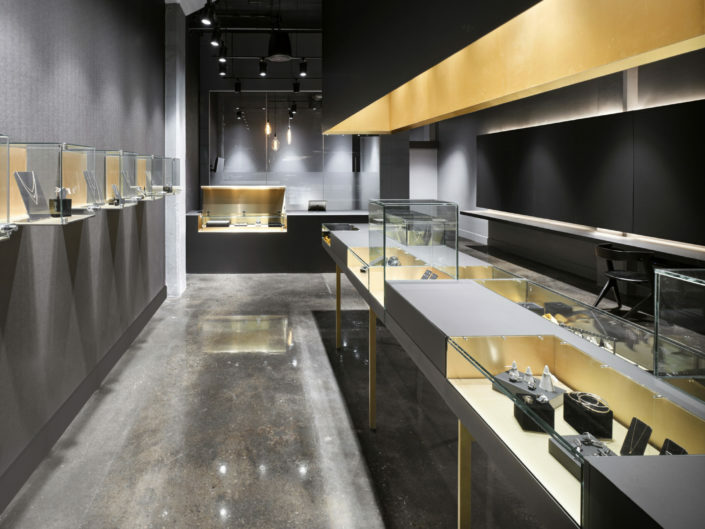 By utilizing the floor division between the two showrooms, a clearly divergent, yet related, means of presenting product was established. 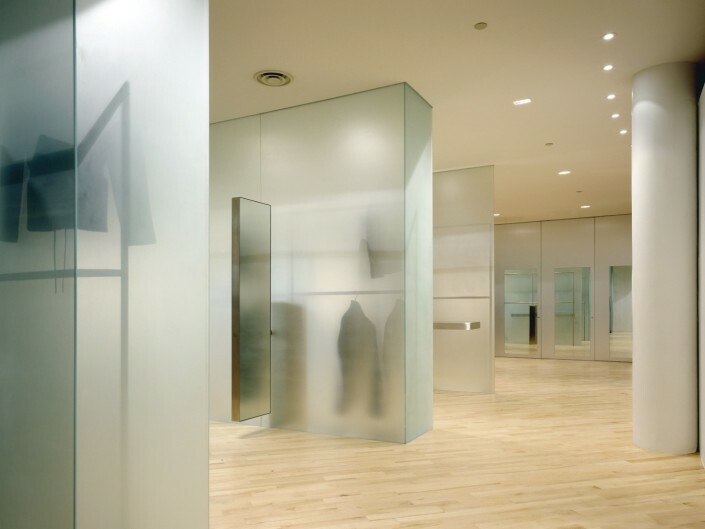 – possibilities to inspire visitors. 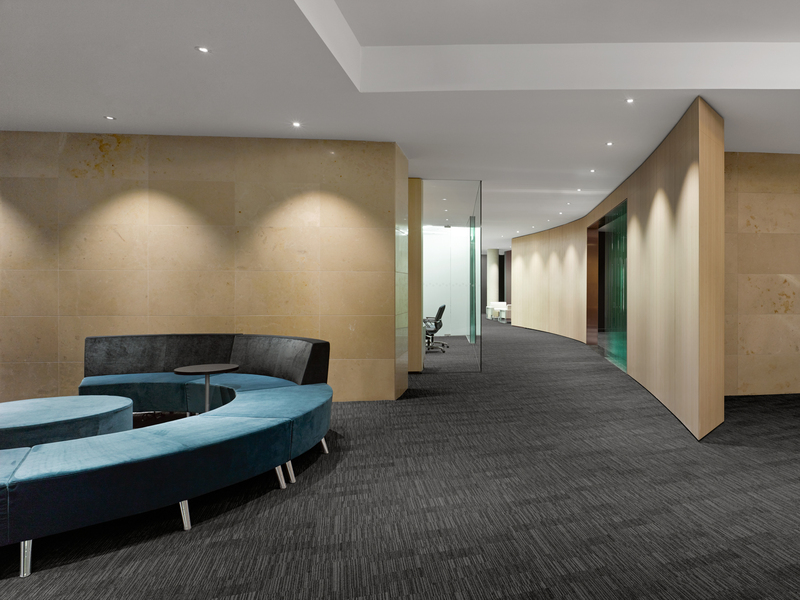 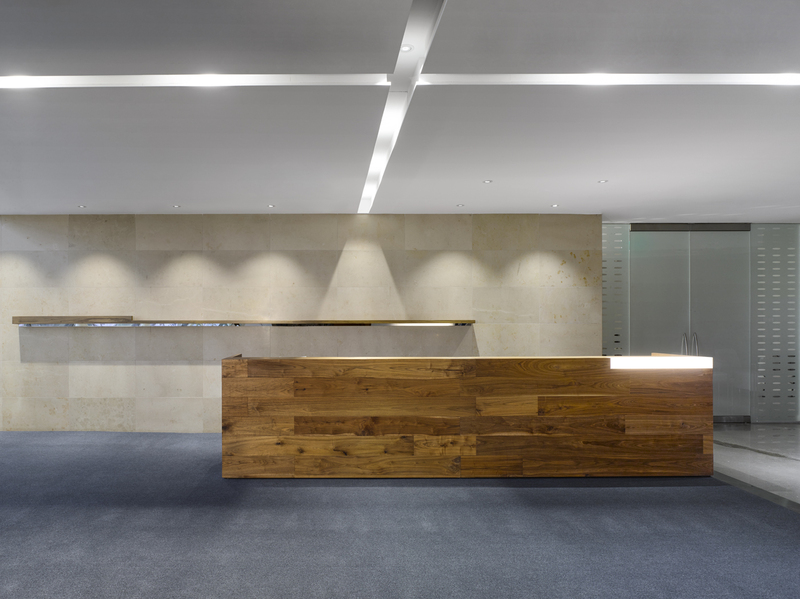 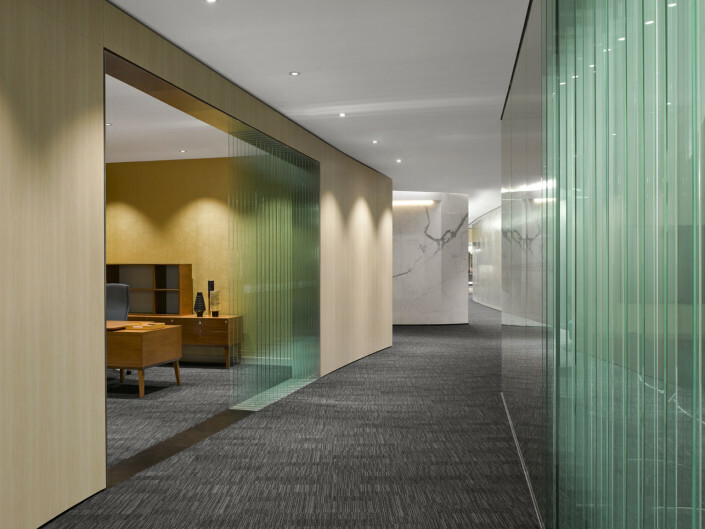 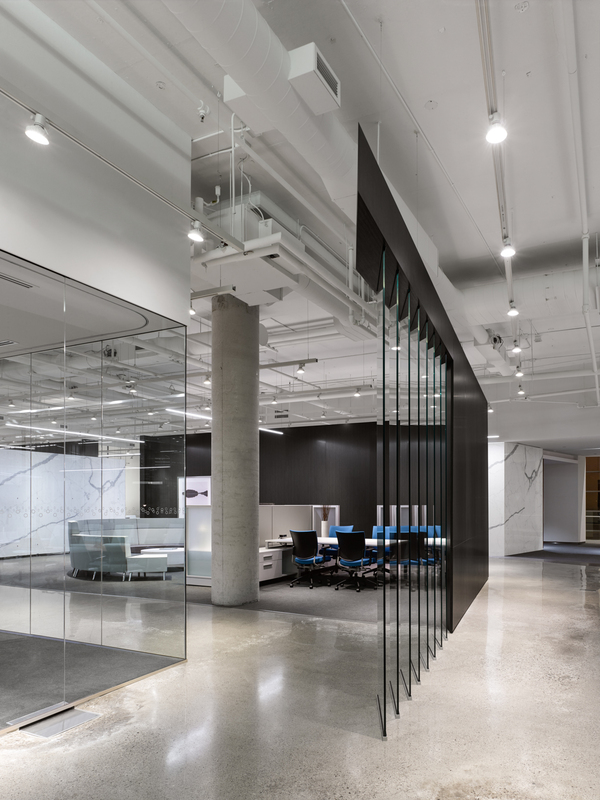 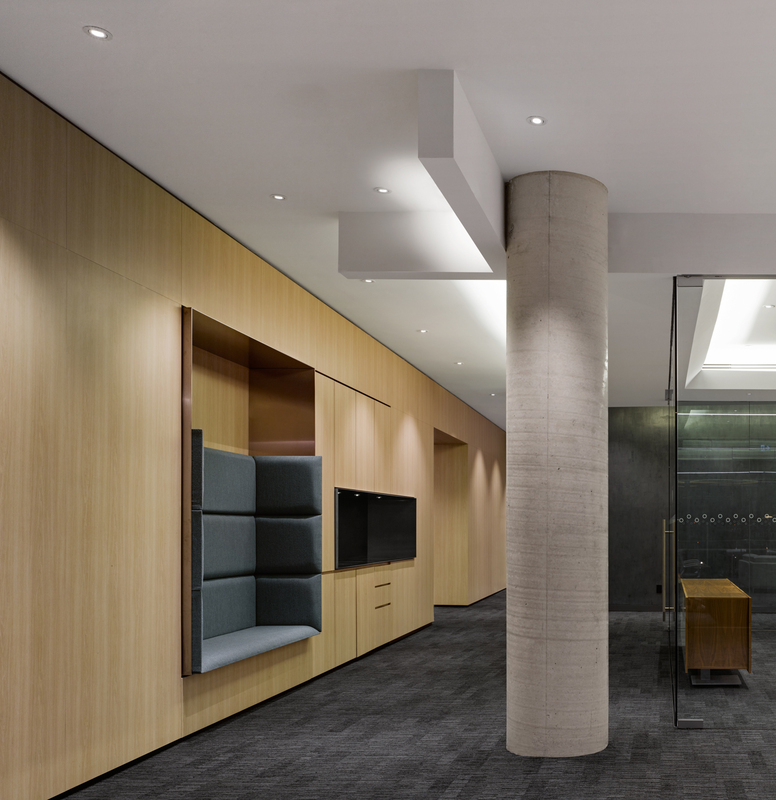 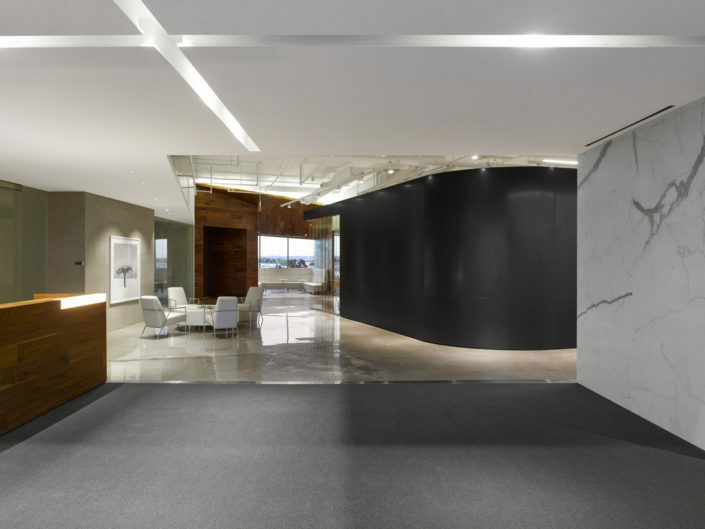 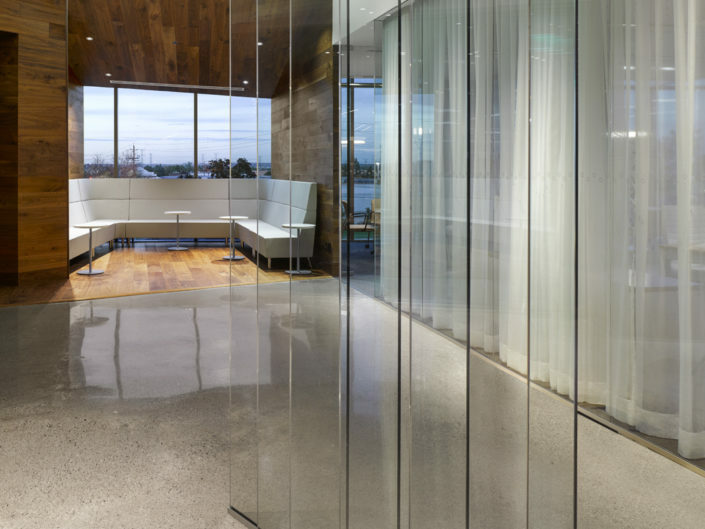 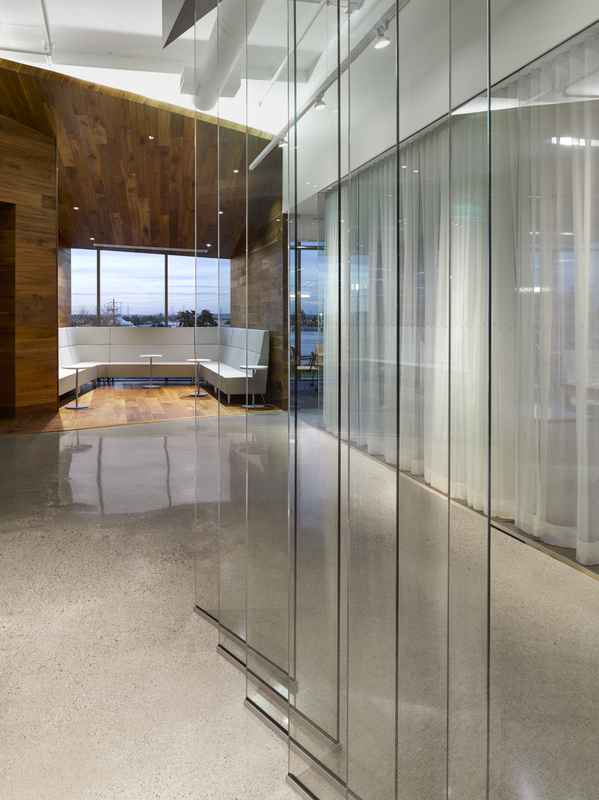 Custom partitions in porcelain, wood veneer and glass can be removed to expand the vignette space when required, providing an infinitely flexible space. 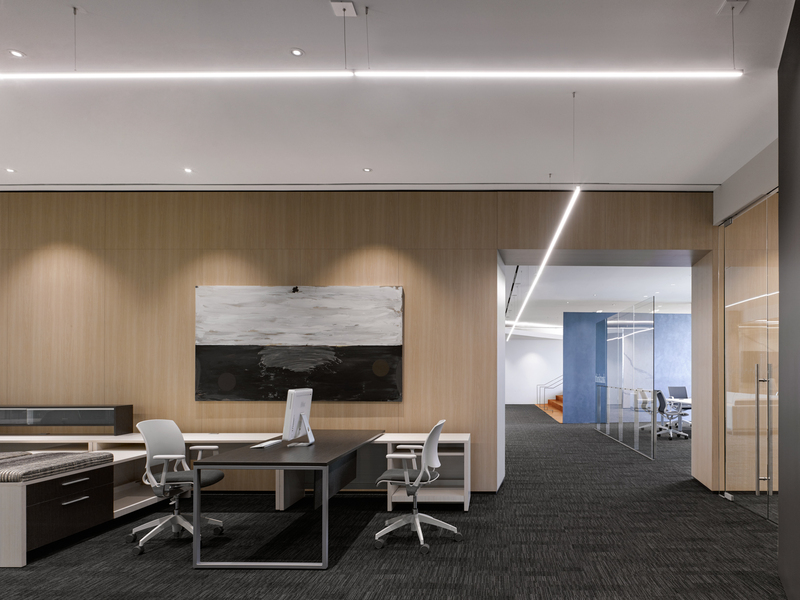 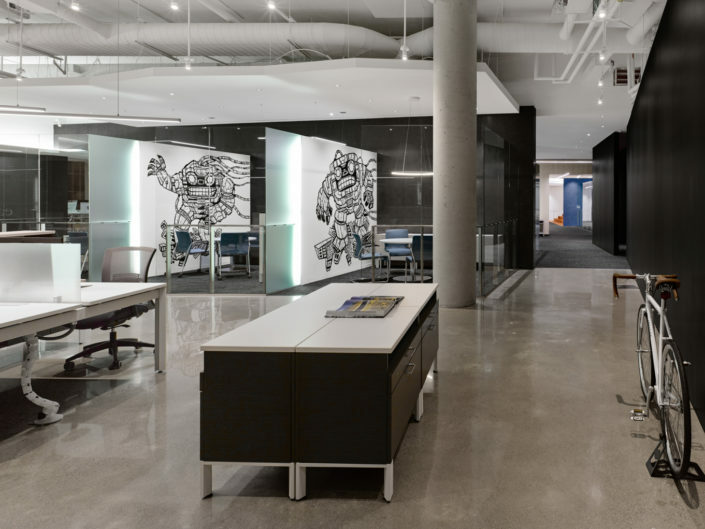 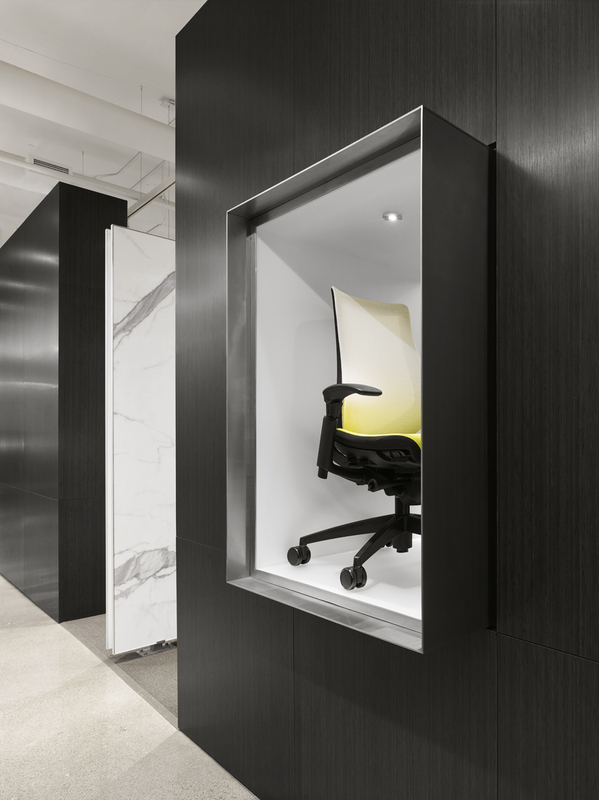 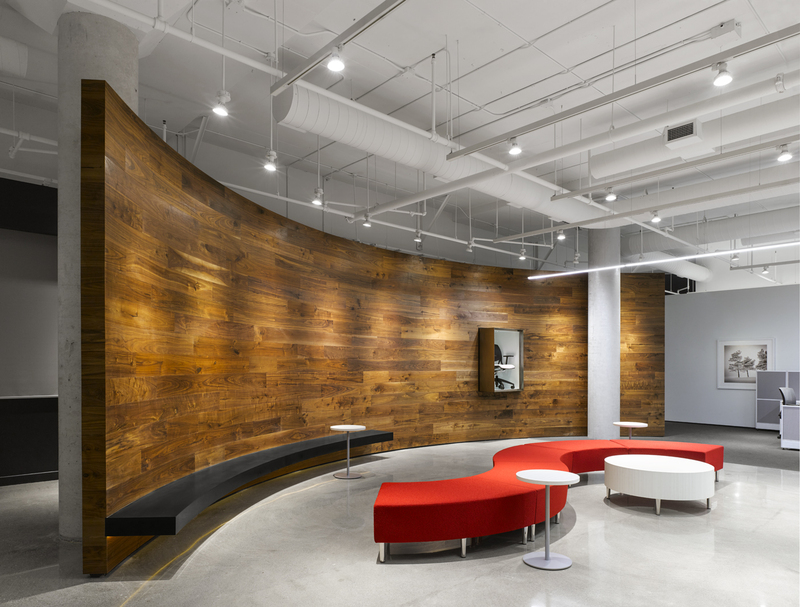 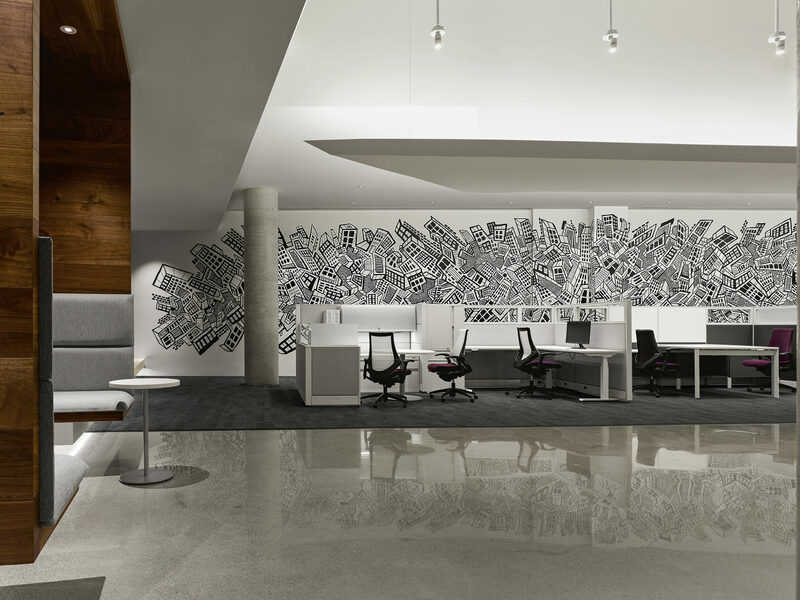 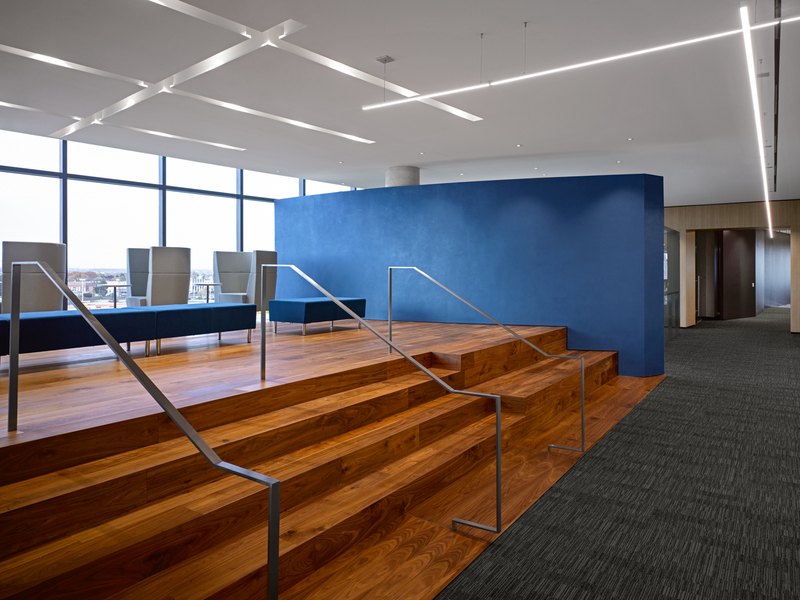 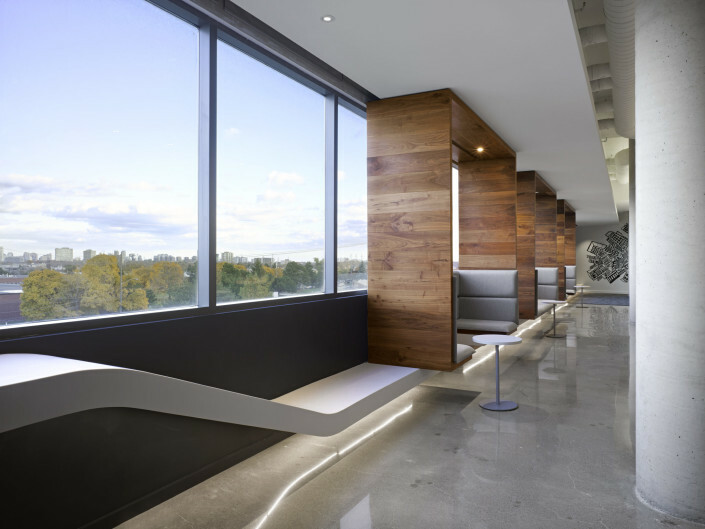 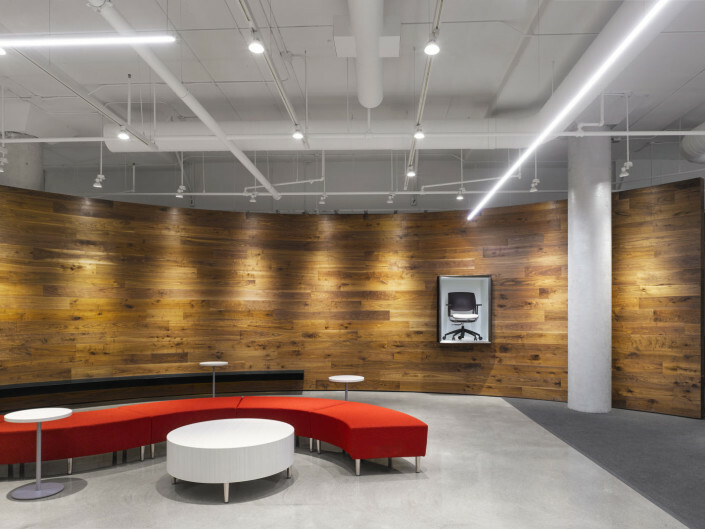 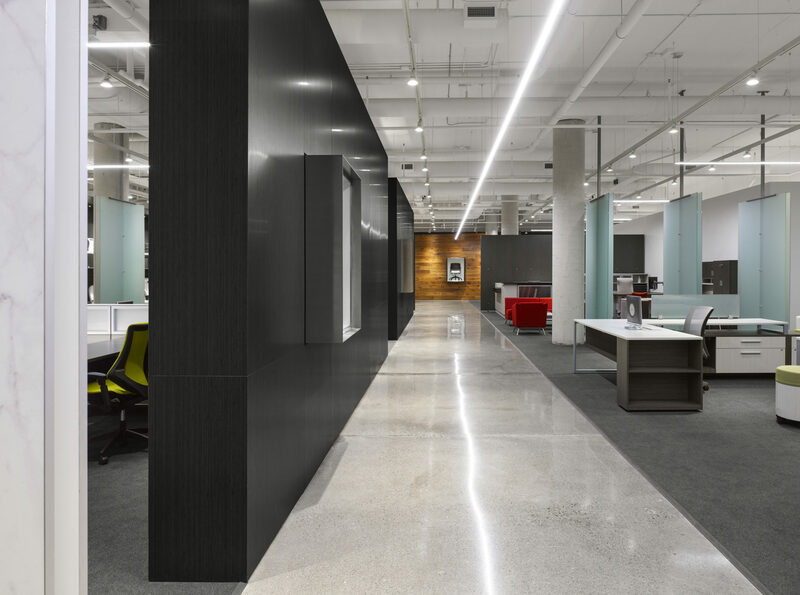 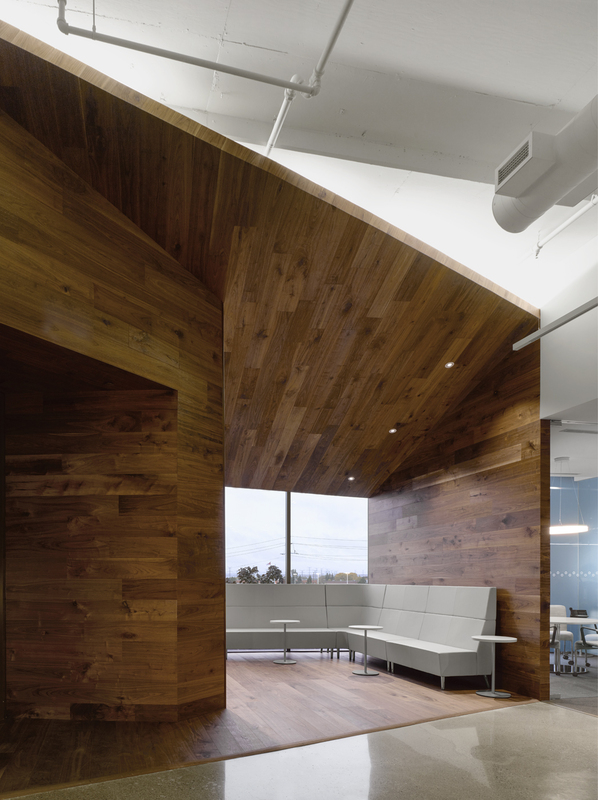 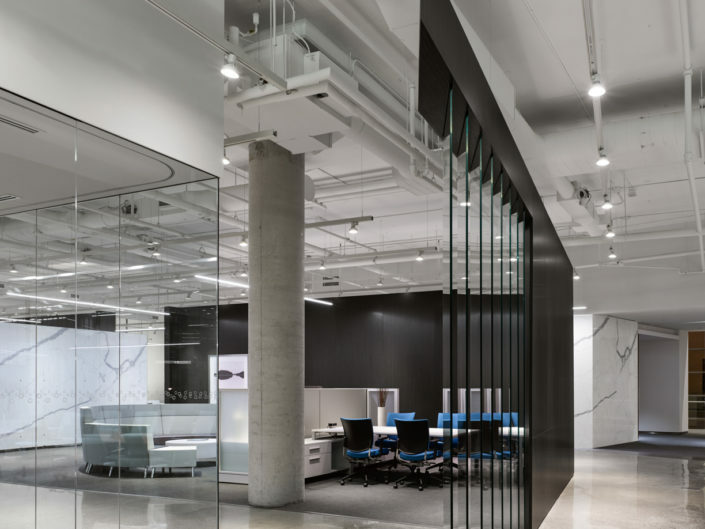 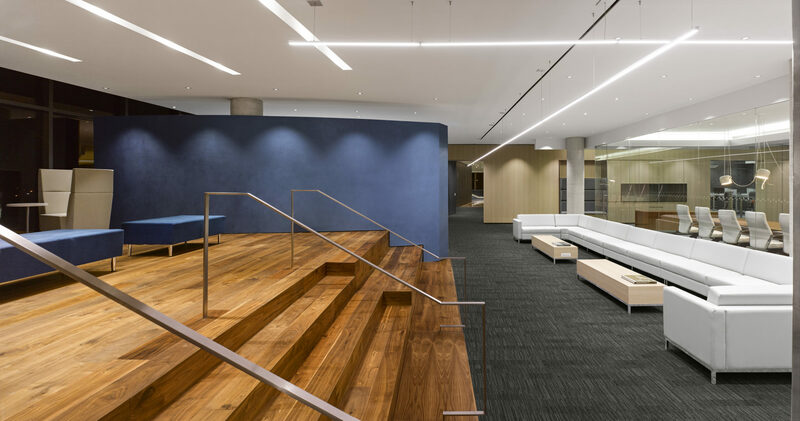 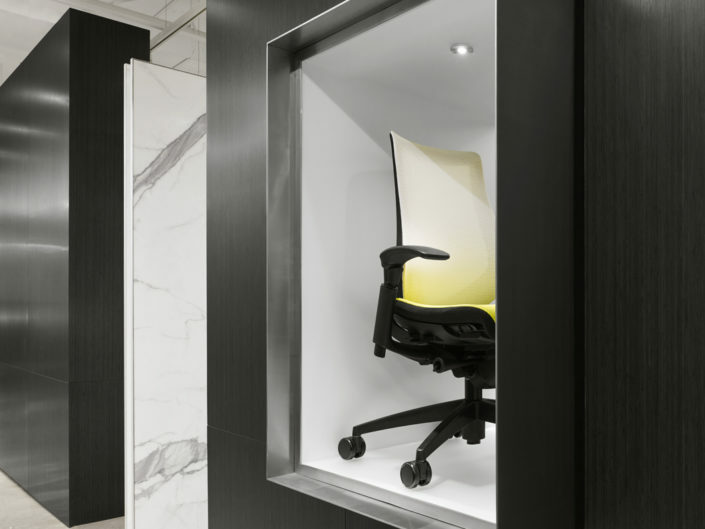 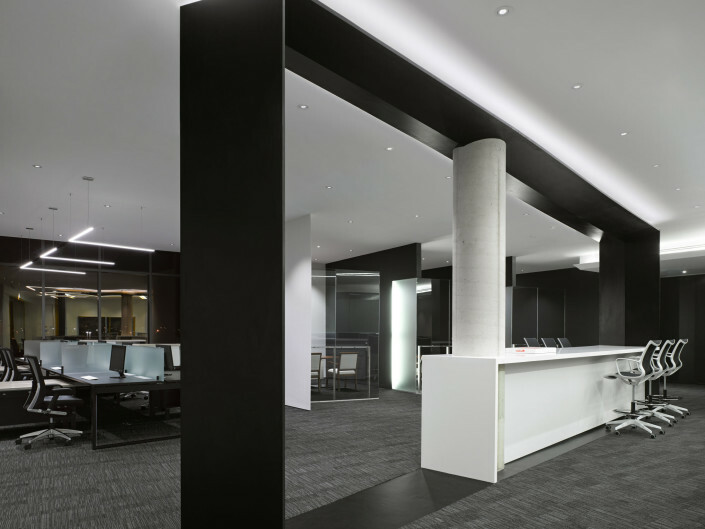 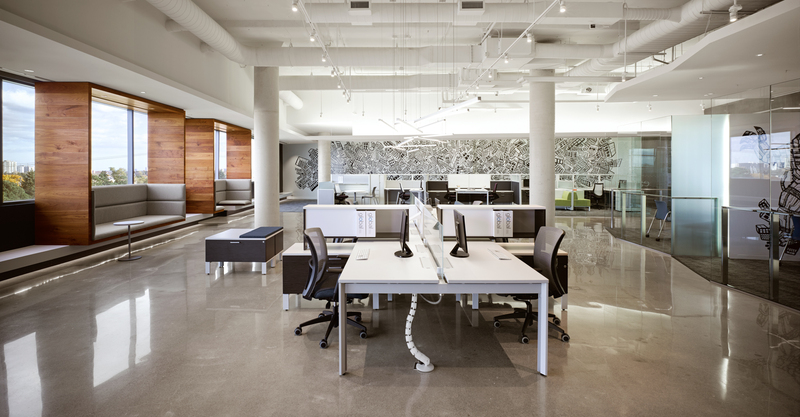 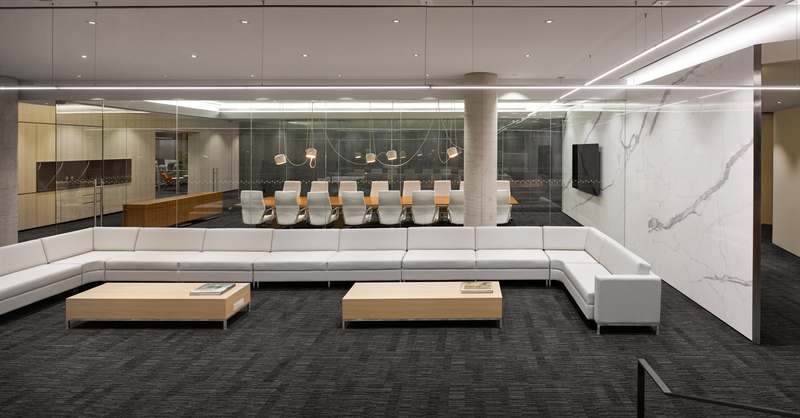 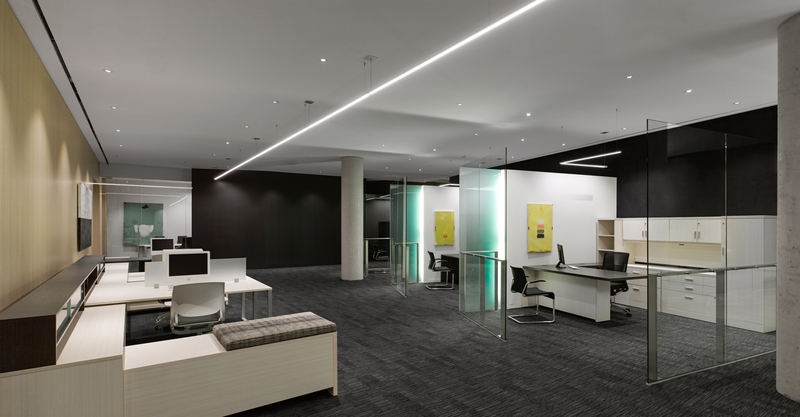 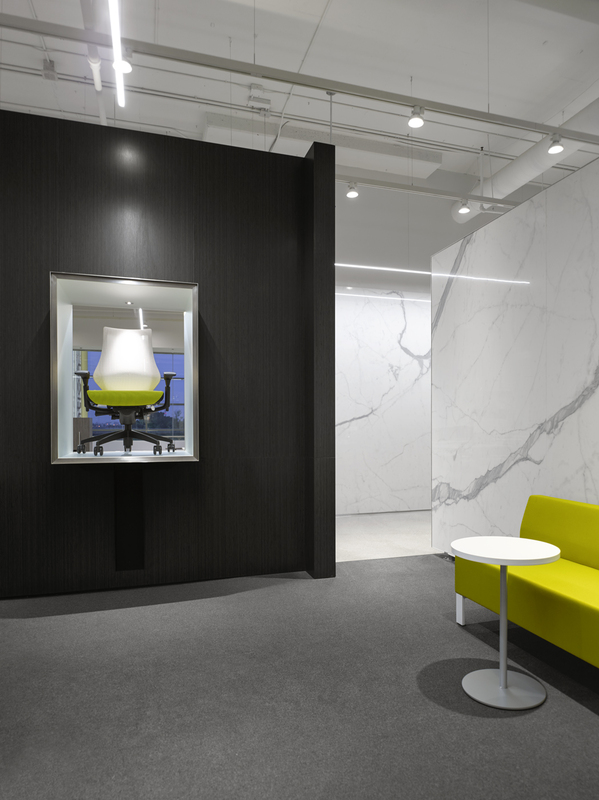 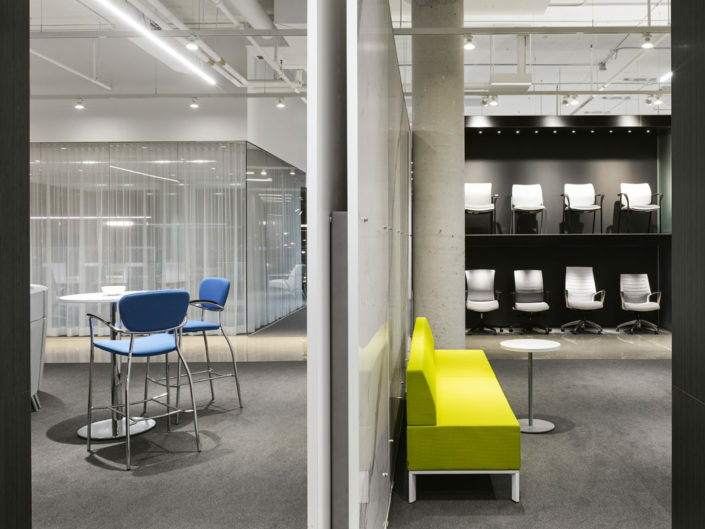 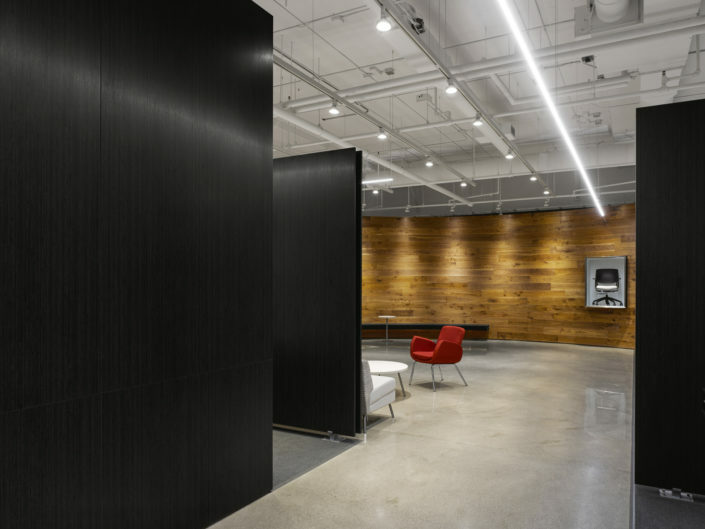 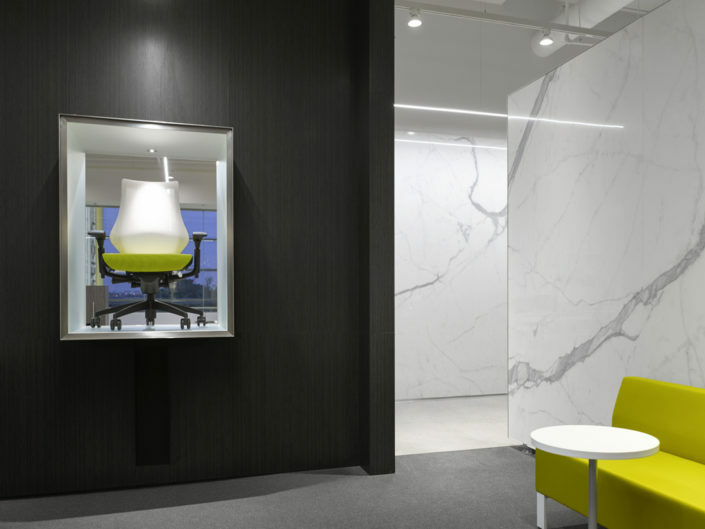 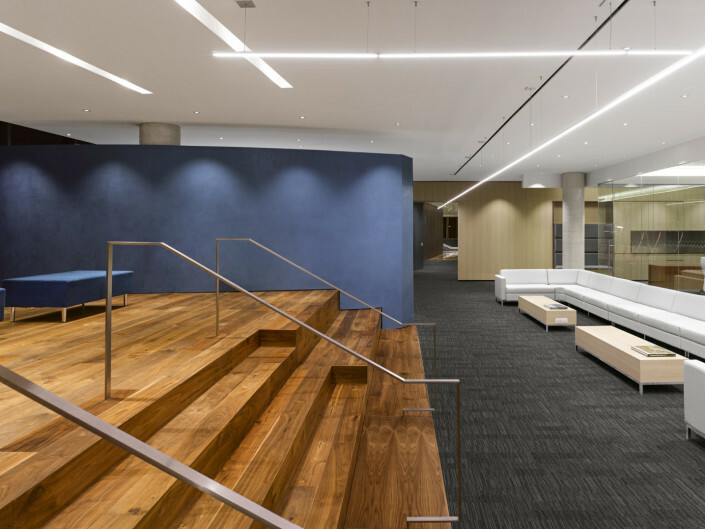 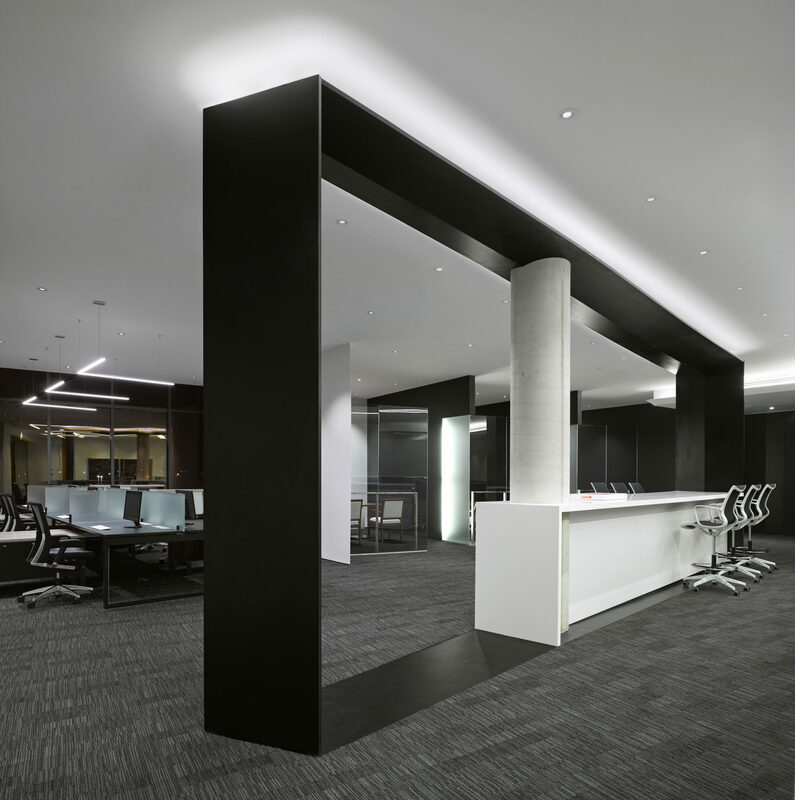 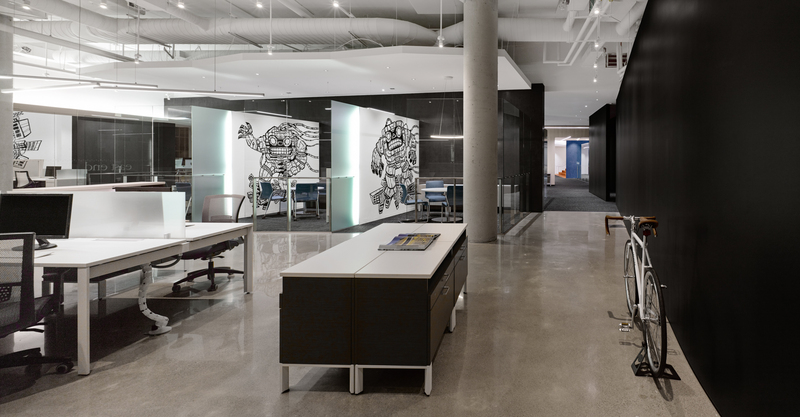 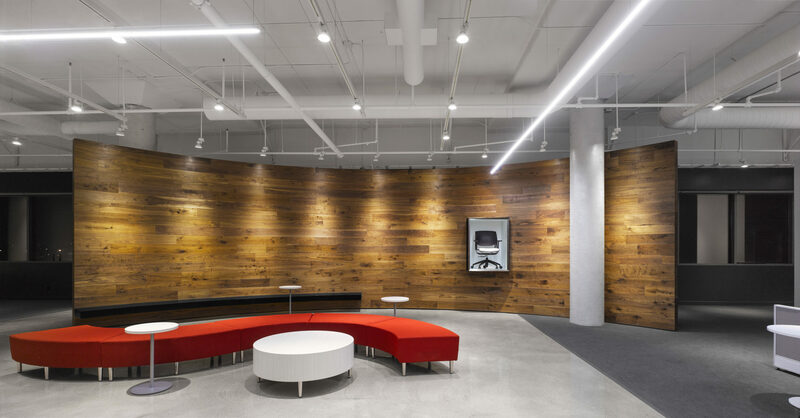 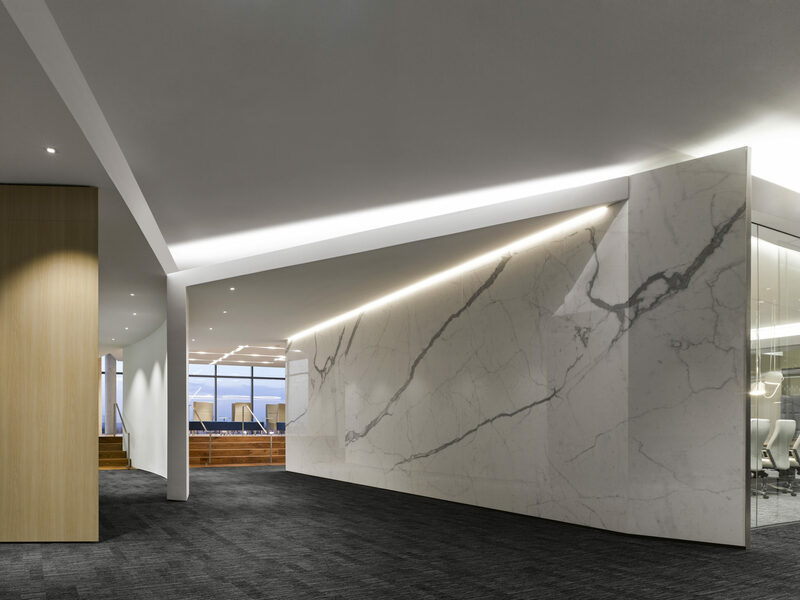 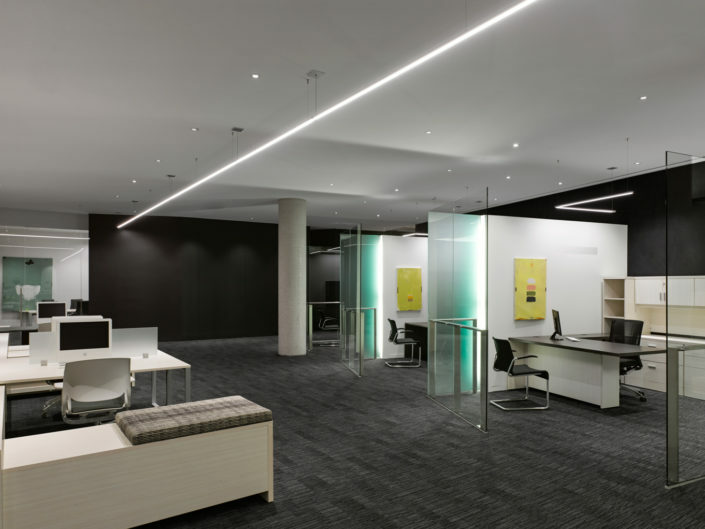 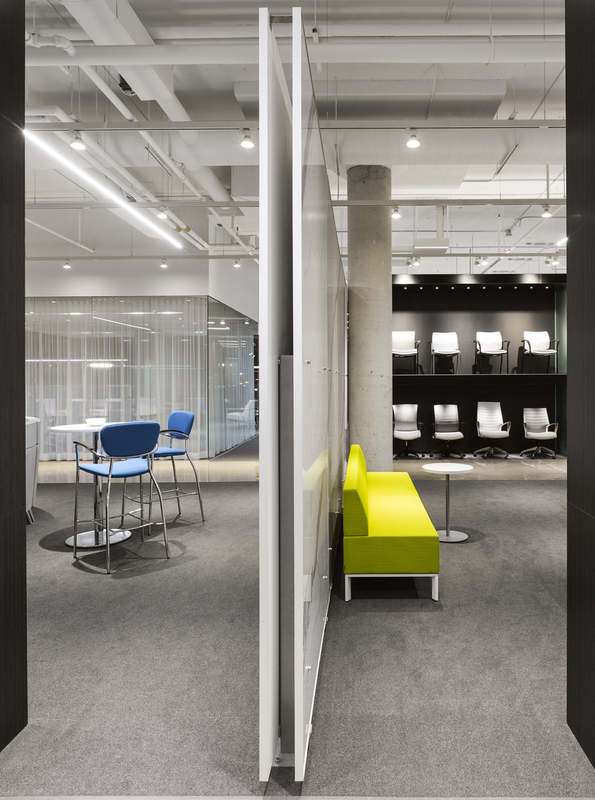 The 3rd floor, ENVISION, provides an opportunity to create variations of a prototypical workspace – a ‘total office’ solution – that can help the client envision the products they are interested in. 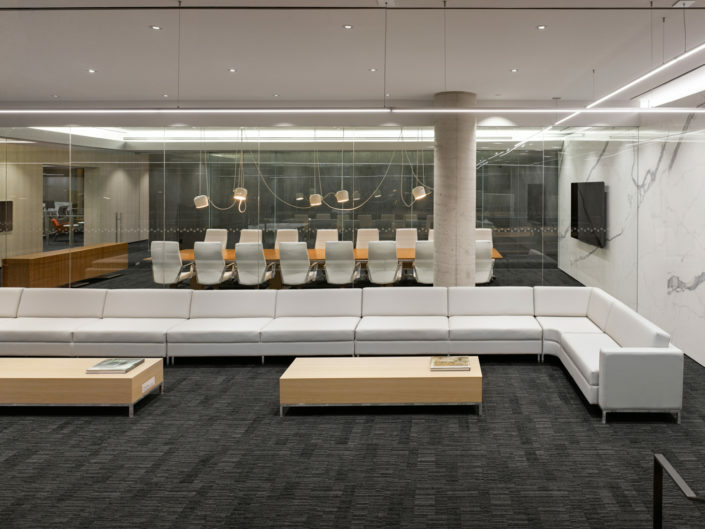 The ‘total office’ has various work and social spaces that exhibit Global’s various products, including private offices, open workstations, boardrooms and meeting rooms, filing, unconventional private spaces for work or retreat and social spaces for interacting with colleagues. 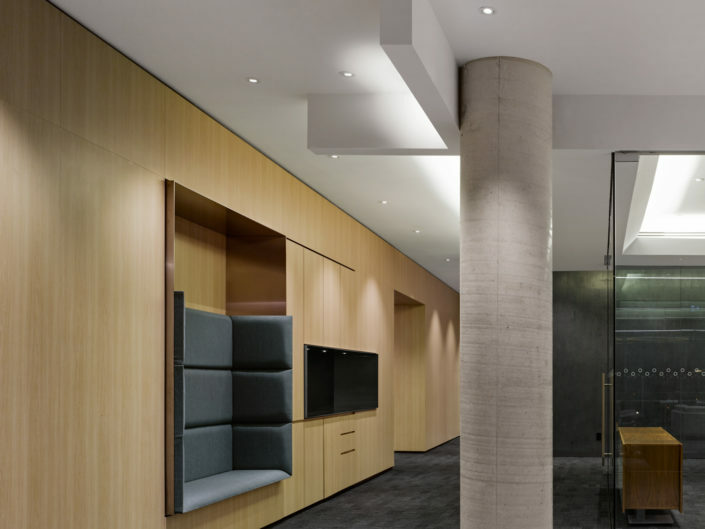 The showrooms are complementary and work in tandem to support the narrative of the products by presenting them on the 2nd floor as singular objects and on the 3rd floor in an imagined context.